Ramnavami is an important festival of the Hindus that marks the birth anniversary of Lord Ram. It is celebrated on the ninth day of the bright fortnight of Chaitra. Ram was the son of King Dasharath, the king of Ayodhya and married Sita, daughter of King Janak of Mithila. Ram's story is mentioned in the Ramayana. He was about to rule Ayodhya, as per the wish of his father. But, as his stepmother Kaikeyee wished, he went to the forest with his brother Lakshman and wife Sita. Sita was kidnapped by Ravan, the king of Lanka but he was able to rescue her with the help of monkey god Sugriva and Hanuman. Ram was the preacher of obedience and tolerance. Ramnavami is celebrated with great devotion. A big fair is held in Janakpur which is visited by large number of people from Nepal and India. Fasting is observed and the songs of Ram and Sita are sung all over the country which makes the atmosphere more exotic. Maghe Sankranti is celebrated on the month of Magh. People begin their day with early bath and eat varieties of foods. It is celebrated by different ways by different people in different places. In Terai, people worship goddess 'Bhagawati', young girls perform 'Tushari Puja' and newly married women worship 'Sanjha'. People eat Khichadi, laddu made of til (sesame). 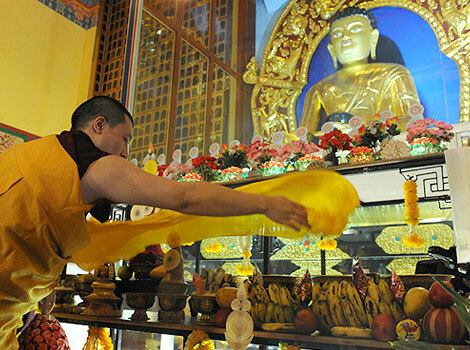 The festival is observed wishing for long life, health and wealth and beauty. This festival falls on the month of Baisakh which is considered as the birthday as well as the day of enlightenment and death of Lord Buddha. On this day, Buddhist worship lord Budhha in Chaitya and Bihar and distribute prasad to the visitors. -Fasting is observed and the songs of Ram and Sita are sung all over the country which makes the atmosphere more exotic. Who is not the character of Ramayana? What is the best thing about festivals? What does not happen during Ramnavani? 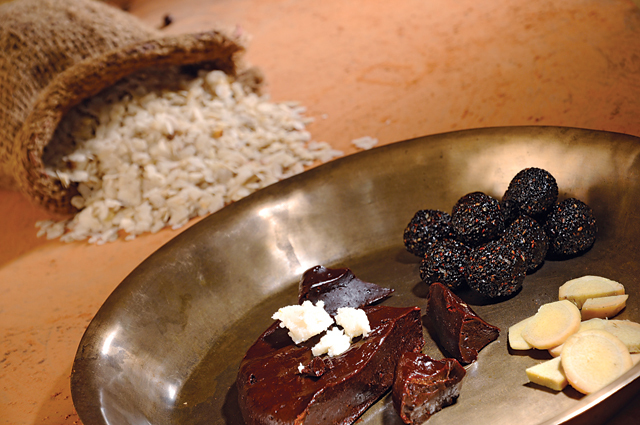 What dish is cooked especially in maghe sankranti? When is Buddha Purnima celebrated? What happens in Buddha purnima? Any Questions on 'Our Festivals '?